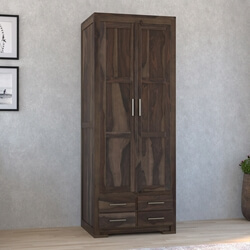 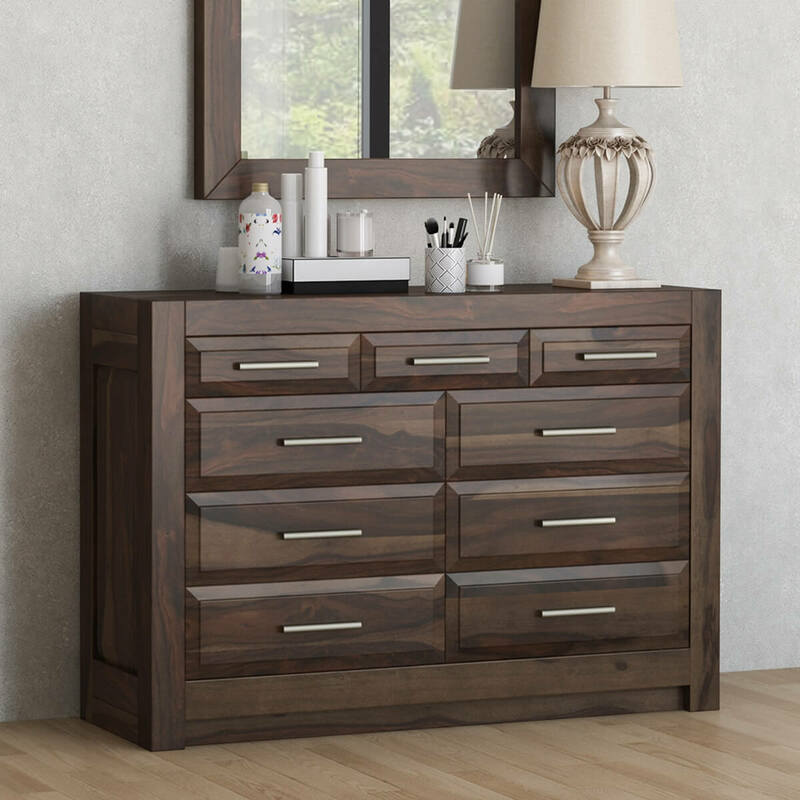 With clean contemporary lines and rich wood grains, the Sierra Nevada Handcrafted Solid Wood 9 Drawer Horizontal Dresser has much to offer. 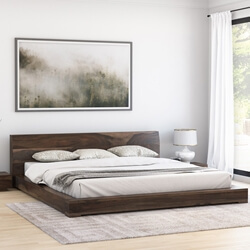 This purposeful piece brings beauty and function to any bedroom, from the large master suite to the square foot challenged guest room. 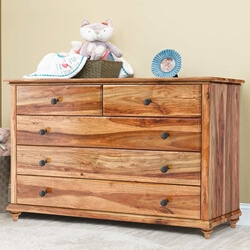 It features a plethora of drawers, with no less than nine to fill up; three smaller drawers are situated along the top with 3-tiers of double drawers stacked below. 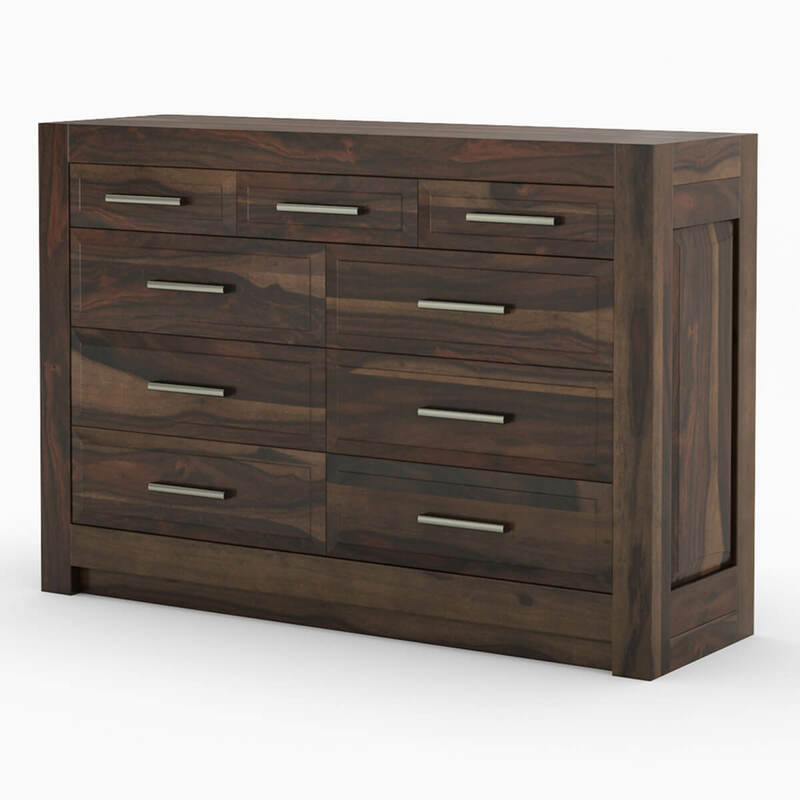 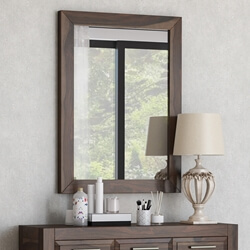 Each drawer is fitted with a hand-wrought iron handle with simple, non-decorative design. 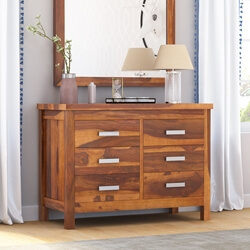 The top surface of the lowboy chest provides ample space for creating a beautiful tabletop vignette with a pair of tall table lamps and a mirror hung on the wall above. 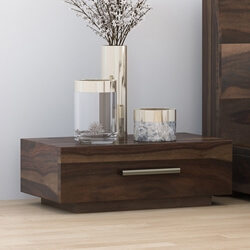 Situate some art objects or jewelry box for an additional layer of decoration. 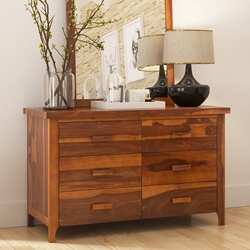 The solid Rosewood construction is done by expert craftspeople using age-old techniques. 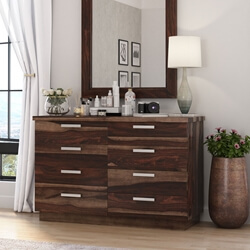 The wood is sustainably harvested and features a striking grain with varying light and dark striations.